Welcome to Ventura's Offshore Cafe & Liquor Store! A Northfield Institution...Sensational cocktails, superb service and a brilliant menu of global cuisine in a warm cozy atmosphere. Serving Northfield, Linwood, Somers Point, Long Port, Margate and greater Egg Harbor Township and Atlantic City areas. The restaurant is open seven days a week from 11am until 1am. We accept all major credit cards. Our Liquor Store is open Sunday - Thursday: 10am - 11pm and Friday - Saturday: 10am -12am. Ventura's Liquor Store has the best in beer wines and liquors. NOTE: Our kitchen will be closed on Thanksgiving. The Bar and Packaged Goods Store will be open 10am to 5pm. We are closed Christmas Day. 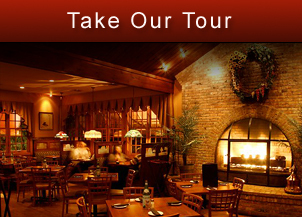 Ventura's rugged towering fireplace and our sportsmen's bar with (4) 42-inch plasma screens captures you as you snack on a Roast Pork sandwich, Seared Tuna with Caribbean spices, Gourmet brick oven pizzas, Chicken Mango Quesadillas or a Black Angus Filet Mignon. At Ventura's, we are committed to providing great service and a truly great product made with 100% All Natural ingredients to satisfy you, our customer. Large parties are welcome Sunday thru Saturday on a space available basis. Sit down dinner parties for 25 to 50 people or cocktail and hors d'oeuvres party for 25 to 75 people are available. We hope to see you soon! We allow service dogs only with proper documents. Copyright© 2015 Ventura's Offshore Cafe. All rights reserved.